The head swelling has abated. After having two pieces accepted in 64th Parallel, getting Honorable Mention for one of them, finding out that one of them was purchased and getting ready for my Artist of the Month show, I can now settle back into a routine of beading. I finally got around to making a beaded piece using 13/0 beads for a small journal. I had a kit and wanted to put beads on it. I also stamped a design around the edges and learned to use a gold infused wax to color the design. I think it turned out cute. Now I am going to start another cabin. It took me all afternoon and four tries to get one I like. Drawing is not my strong point. 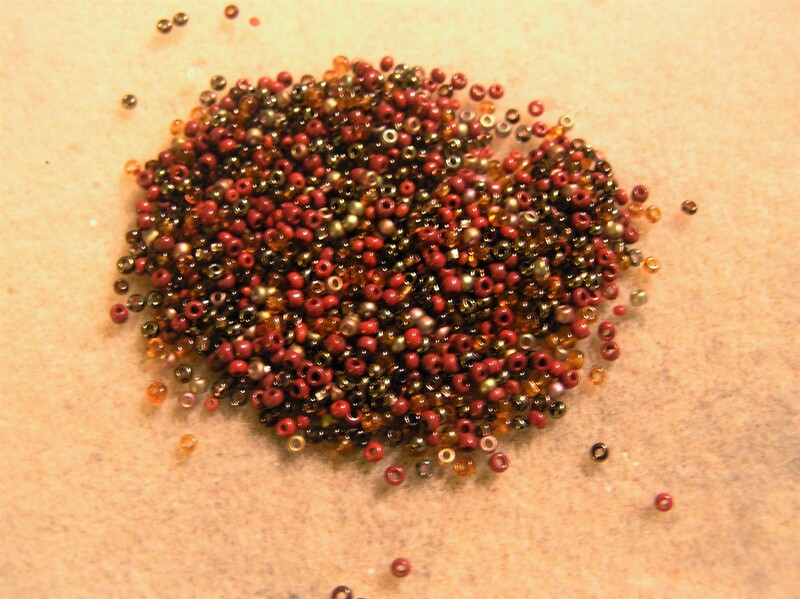 I have eight shades of brown in the bead mix I will be using on the logs, This will be in size 11/0 mostly, the layering will be done with 15/0 and 22/0. I will update as it progresses. Lets get started!! Previous A Night of Surprise!